Add Newsweek to the list of publications that no longer care at all if President Trump or his ever-changing administration coterie ever give them the time of day again. The weekly has likely burned every bridge with its latest cover story — or more accurately, its latest brutal cover. 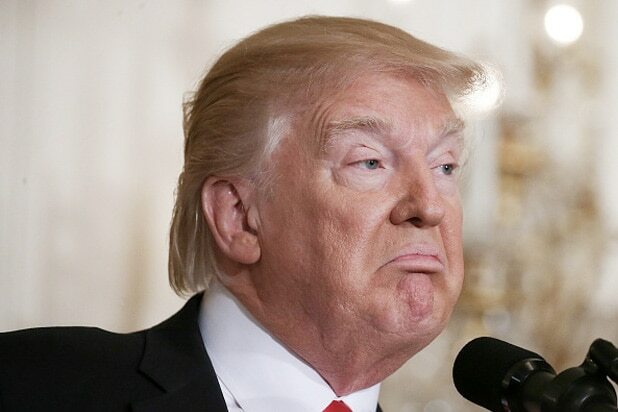 Newsweek unveiled it on Thursday, and while the subject and headline — Trump, America’s Boy King: Golf and Television Won’t Make America Great Again — weren’t exactly kind to the 45th president, it was the cover that had Trump opponents standing up and cheering. 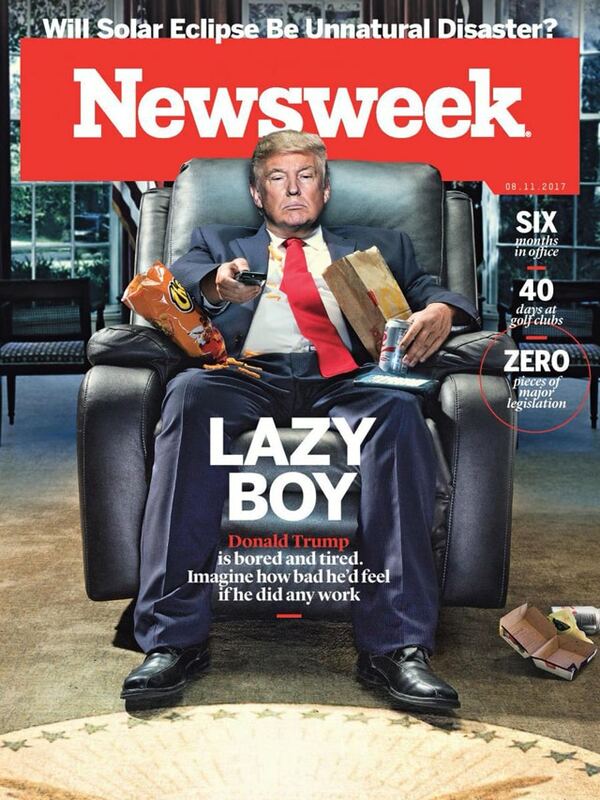 Set against the backdrop of the White House, the cover shows Trump kicking back on a recliner with a remote control in one hand and bags of food on his lap. The image practically begs for one of Trump’s early morning tweets. “Donald Trump is bored and tired,” the cover line says. “Imagine how bad he’d feel if he did any work.” His accomplishments — or lack of them — are pointed out on the side. Ouch. Those of you hoping for a reaction might have to chill for now, however. So far at least, Trump has not responded to the cover. See a bigger version of the image below, and read the full article here.